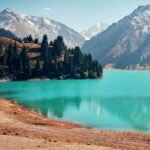 Perhaps the only flight Uzbekistan Airways can give such an incredible experience. 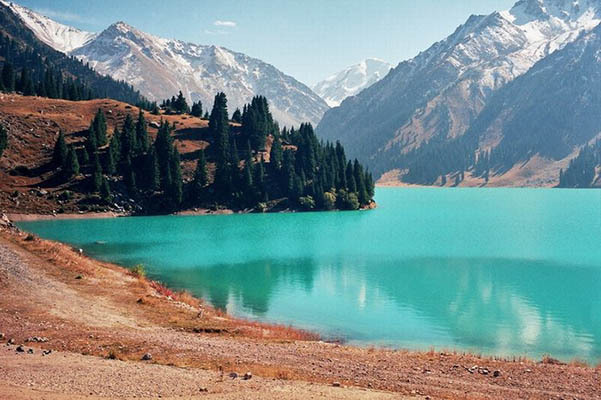 Rest in Kazakhstan, if you are dreaming of natural beauty, we should start with Almaty. A guest from Uzbekistan prices will be a pleasant surprise here. 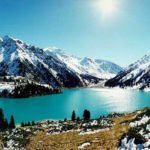 If you like to wander through the unique beauty of its tracks, and fascinated to look into crystal turquoise mountain lakes – here you exactly like it. His absorb beauty, painted in shades of azure and represent millions of solar glare, sharp and full of dramatic swings teeth rocks. 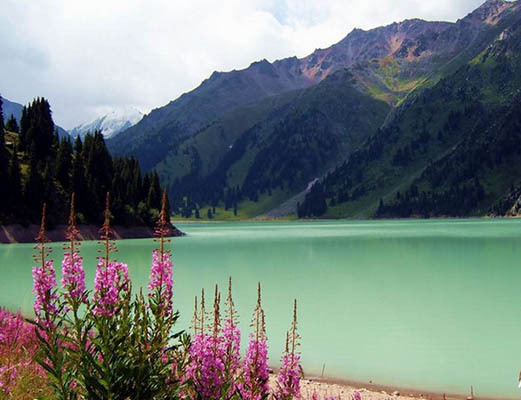 Such painting draws the bright colors of nature Big Almaty Lake. About thirty kilometers separate « an apple » capital from this corner of tranquility and comfort. Two and a half kilometers of the lagoon is separated from the surface of the earth. 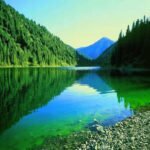 As the three fingers, sapphire lakes compress three peaks, visible from afar – is the peak of the Soviets, Tourists peak and the last, the Lake. Only the second is not soars above the earth’s expanse of more than four kilometers. 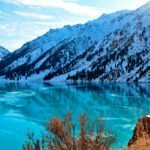 For palisade snowy peaks rises proudly propping up the snowy head turquoise sky Big Almaty Peak. 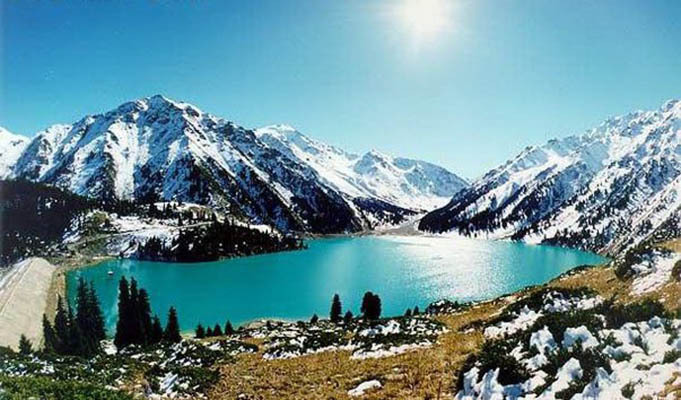 It is he who gives life to the panorama of Almaty. 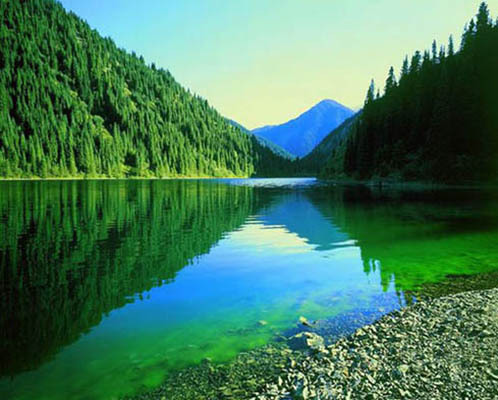 Lake, absorb moisture flowing from the melting glaciers, armor covering mountain peaks, almost perfect in form. Dark Water, perfect in its smoothness, leaving deep into almost forty meters. 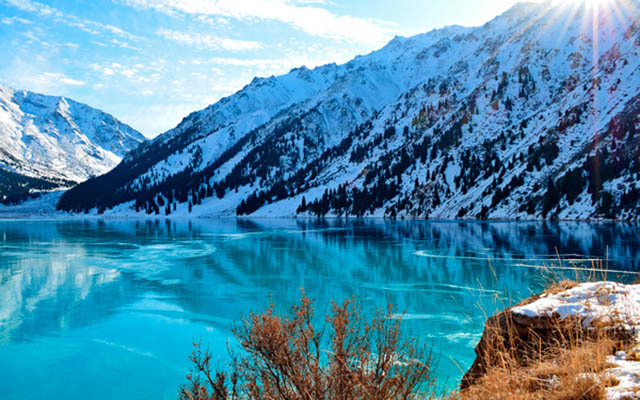 When admiring the beauty already pall, you can recover an exciting journey to the observatory, which bears the name of the Tien Shan, the perfect dome towering height of two thousand meters above the undisturbed water surface. 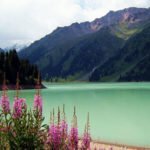 Suffice it to just about 8 kilometers, and you will find yourself near the pass Zhosylkezen where settled Space Research Station. 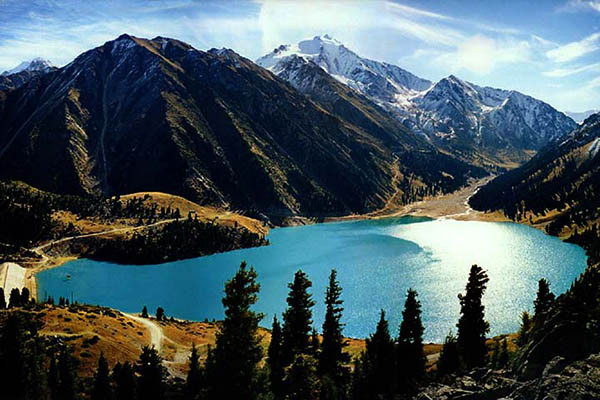 Find any hotel in Kazakhstan next will not be easy, but you can search for any tourist base.